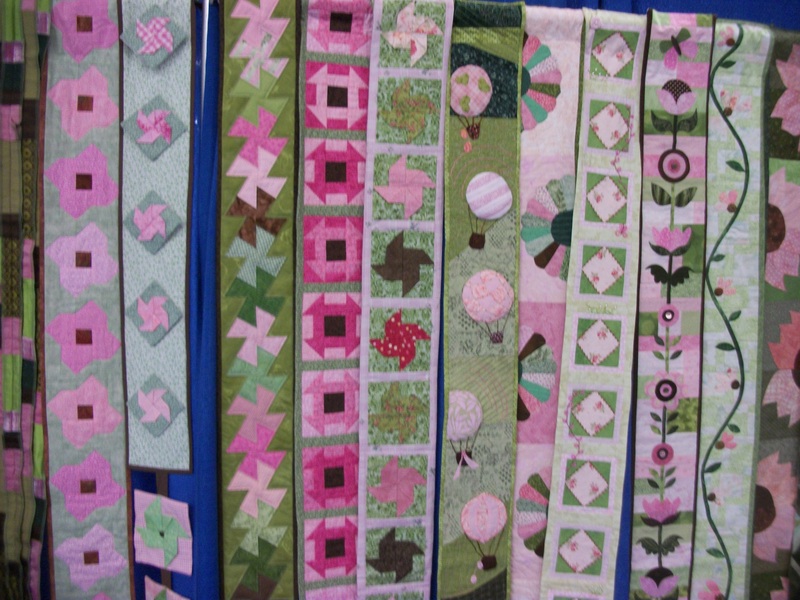 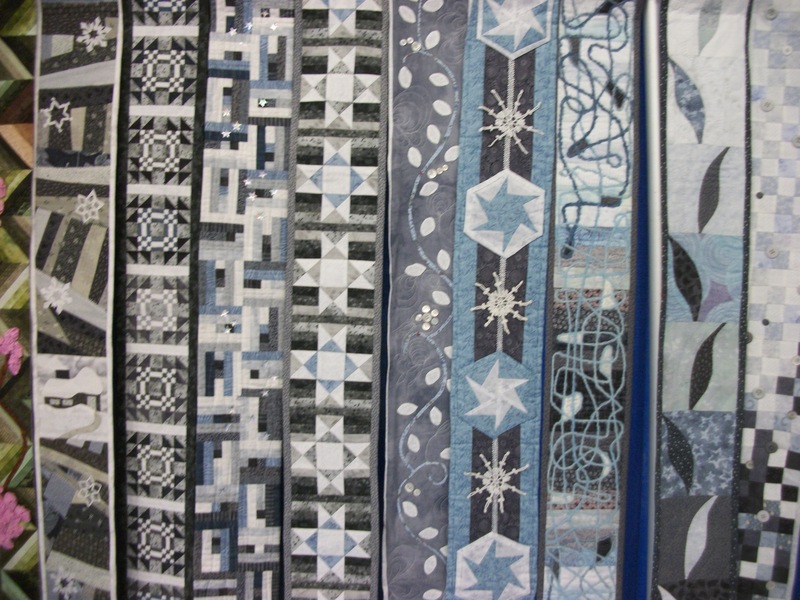 The recent Machine Quilters Expo (MQX) show in Manchester, New Hampshire, exhibited 70 quilted banners made by the Casa Patchwork & Quilting group that represented the four seasons. 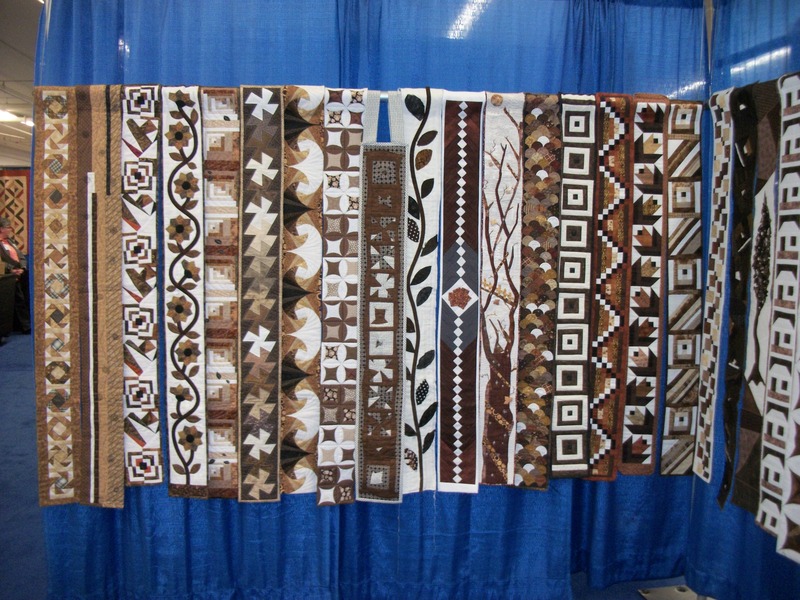 The banners spread out over 40 feet of exhibit space. 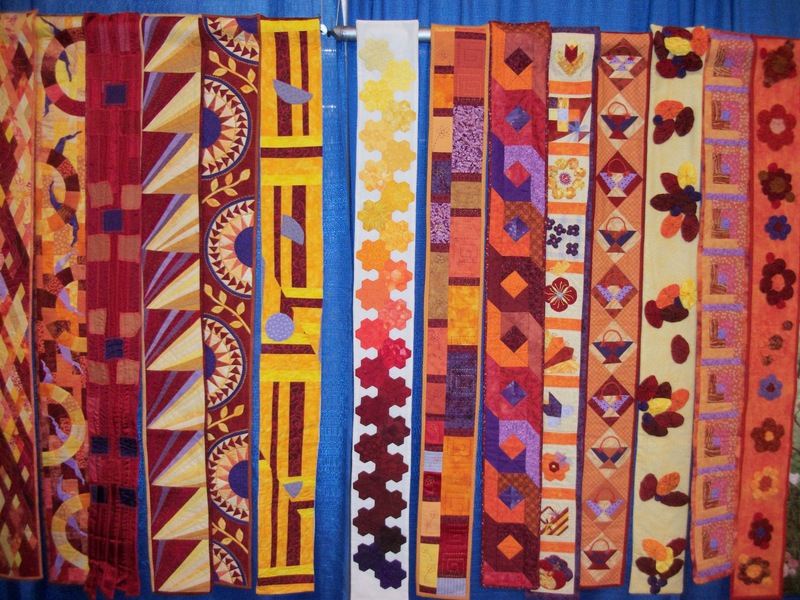 Each member was given a palette to create their own banner–which is why the banners “hang together” so nicely. 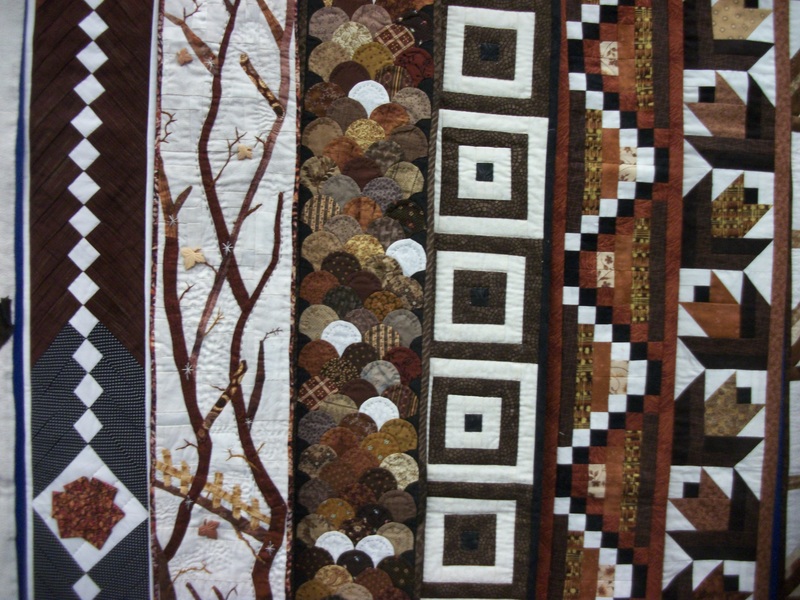 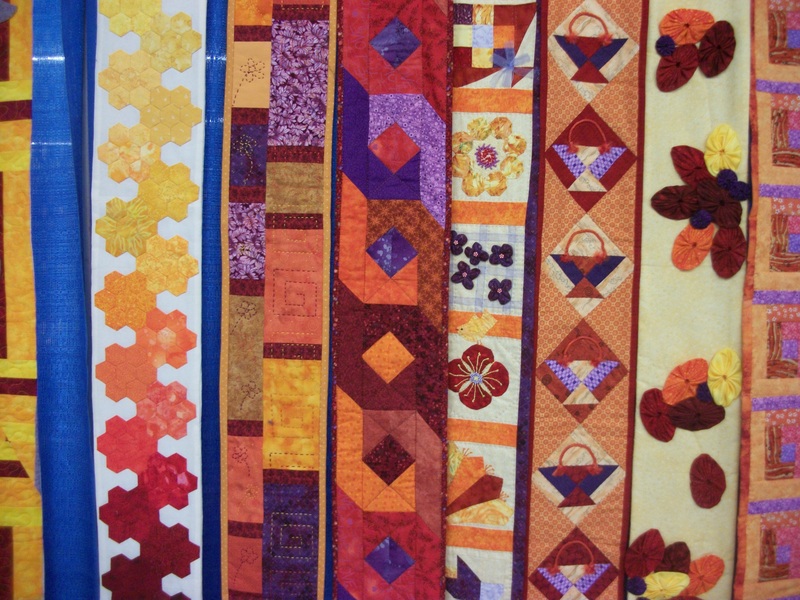 Tagged with Italian Banner Quilts of The Four Seasons, MQX Show, quilting challenge idea.